D.E.S., a system protected by multiple patents, combines two innovative technologies in the same handpiece: MRM (mechanical manipulation with motorised rollers) and CMPS (pulsed magnetic fields with stochastic resonance). The D.E.S system is the most advanced technology in the medical and cosmetic field for non-invasive treatment of blemishes, imperfections and many inflammatory conditions. Experiments show that body parts treated with CMPS have increased blood flow, which leads to a greater exchange of oxygen with the tissue and, at the same time, drains away any toxic and unwanted substances. MRM reproduces manual massage in an exact fashion, but it works deeper down. This is made possible by the simultaneous action of two bi-directional, motorised rollers and a pulsed suction action, managed by a specific program created by Mantis. The slimming, toning and firming effects are visible right from the first treatment sessions, but are impressively long-lasting. Facial treatment uses a combination of CMPS and a pulsed micro-suction system. 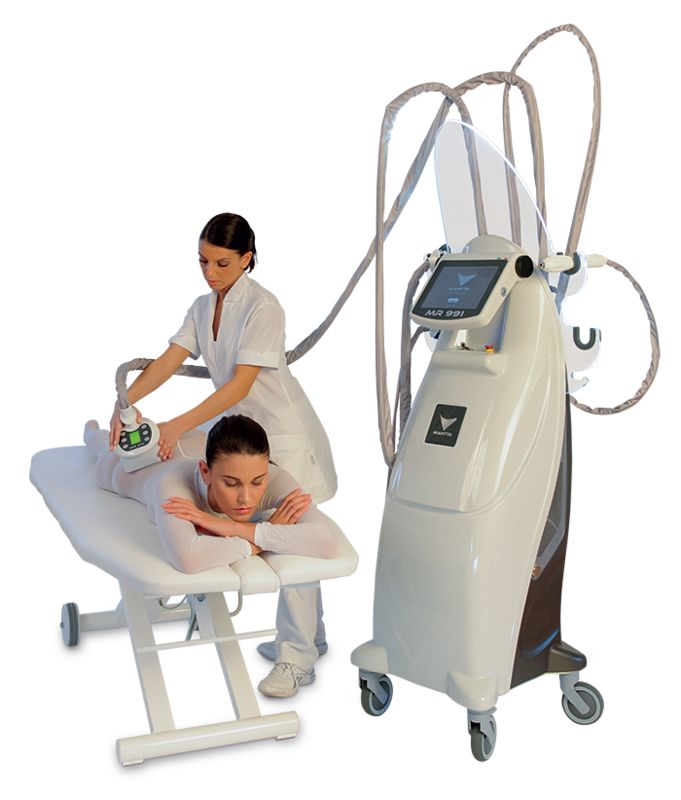 Re-oxygenation of the tissue and stimulation of fibroblasts produces unprecedented results, smoothing wrinkles deep down and restoring the skin's natural elasticity, luminosity and firmness.